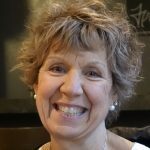 Victoria Potter, MEd, CCC, RYT, and with an MEd in Counselling Psychology is a Professional Beyond Addiction Trainer with a private practice in Calgary, Alberta. She specializes in integrative mind-body approaches to wellness with a focus on treating trauma and addiction; particularly with eating disorders and body image. She runs Beyond Addiction groups for general addictive patterns and is training in Somatic Experience Therapy.